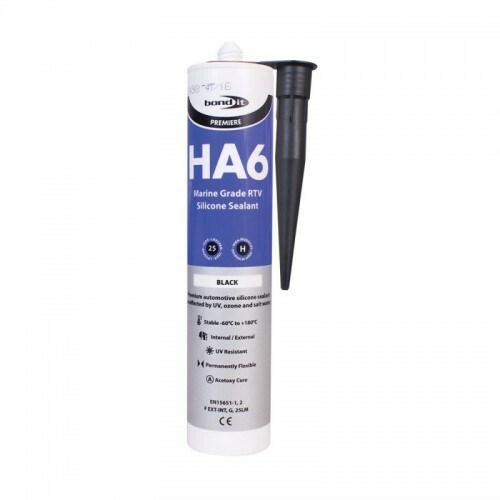 A premium, non-shrinking, marine quality, silicone sealant. It is unaffected by UV, ozone, salt water immersion and extremes of temperature and is non-slumping in paste form. CE Approved: Conforms to EN15651-1,2, F EXT-INT, G 25LM. For bonding, bedding and sealing glass in aquarium construction. Suitable for the manufacture of in-situ gaskets and seals for pumps and pipework to prevent water ingression and as a dust and weatherproofing seal for cabinets in dirty environments or external applications. Ideal for use on glass, ceramics, anodised aluminium, primed metals and timber and many plastics.